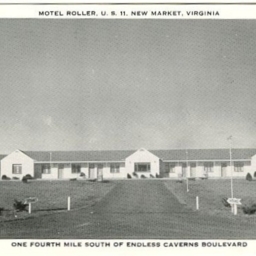 Postcard showing the Hotel Roller located three and one half miles south of New Market Virginia on US Route 11. The motel boasted fine views and good nearby restaurants. 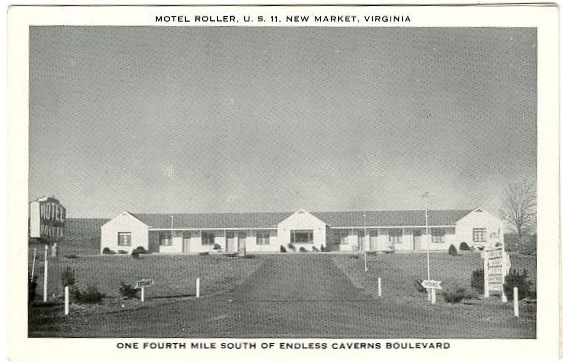 “Motel Roller, US 11, New Market Virginia,” Shenandoah County Library Archives, accessed April 25, 2019, http://archives.countylib.org/items/show/5668.